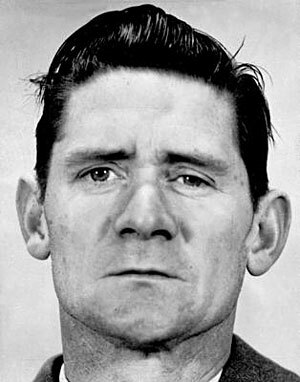 At 8 a.m. in Melbourne this date in 1967, as a moment of silence was observed across Australia, Ronald Ryan was hanged in Pentridge Prison for killing a guard during a prison break. He would be the last man put to death Down Under. Ryan, a small-time thief, broke out of that selfsame Pentridge Prison’s lower-security districts with fellow-prisoner Peter John Walker late in 1965, prompting a high-profile holiday season manhunt. Still, with capital punishment fading in Australia — and especially in Victoria, where nobody had hanged since 1951 — even the jury that doomed Ryan thought its sentence was strictly pro forma. Eleven of them later joined nationwide petitions for clemency when Liberal Premier Henry Bolte made plain his intention to let the hanging go forward. Though Bolte did in fact gain seats at the next polls, the anti-hanging campaign had a breadth hard to comprehend forty-plus years later. A media witness recalled that he “came away from Pentridge Prison in 1967 firmly opposed to capital punishment,” and some form of that sentiment seemed to take throughout Australia. Its state and federal governments abolished their various death penalties over the ensuing generation. Ryan’s hanging “ensured that no government anywhere in the country would politically risk imposing the death penalty again,” the criminal’s biographer said. It also gave the man a lasting foothold in Aussie popular culture. Clips from a couple of subsequent films made about him can be seen online here and here.